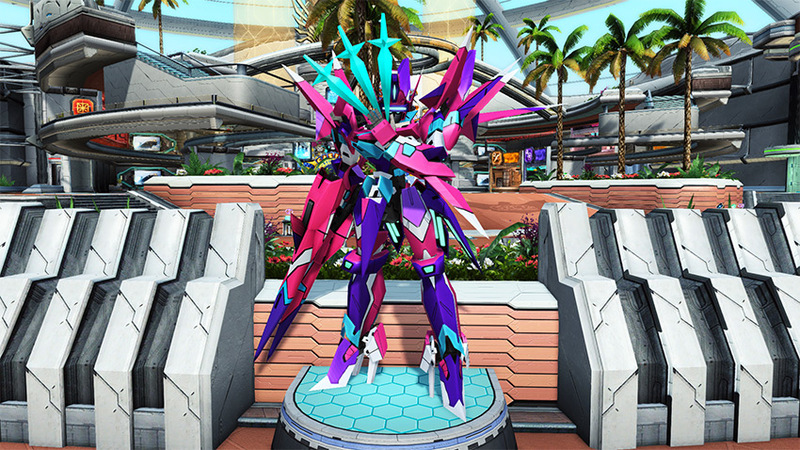 Sega’s wildly popular arcade game, Virtual-On, collaborates once again with Phantasy Star Online 2 to add weapon camos, costumes, and room items! 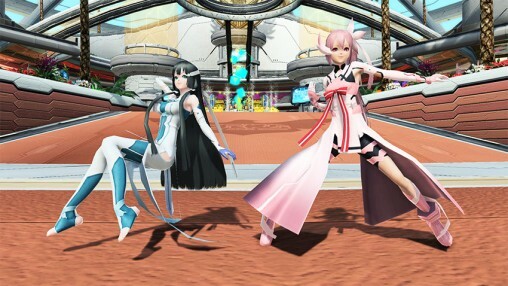 This time, the focus is on PSO2’s PvP mode, with Temjin 707G and Raiden 502 H “Judge Igniters” appearing in the Battle Lobby. 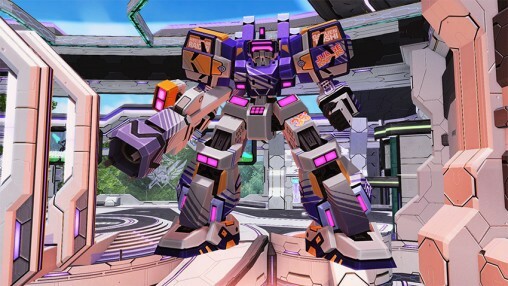 On the flip side, Temjin 747 A and other Virtuaroids will appear as statues around the ARKS Lobby. 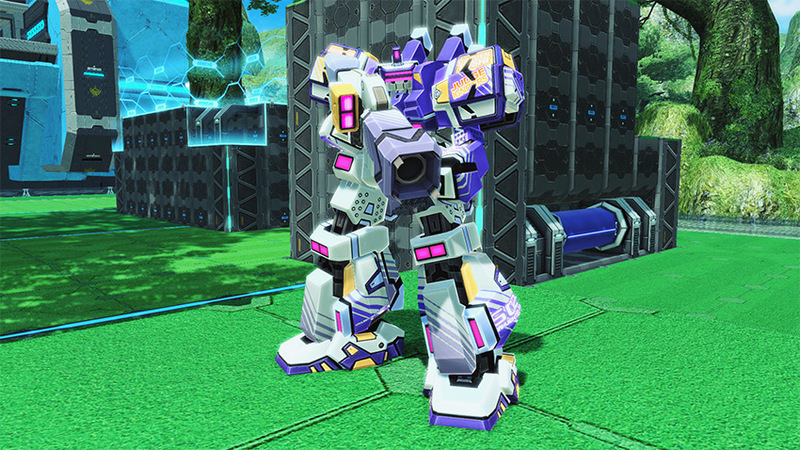 Both Battle and Arks Lobbies will use music from the Virtual-On series. 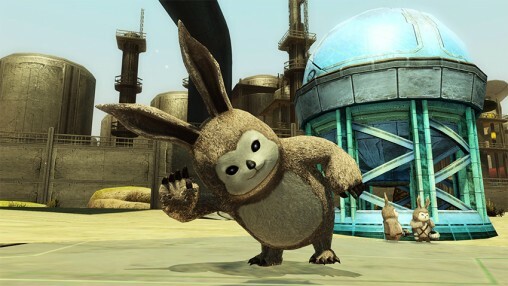 For example, Temjin’s stage theme can be heard as background music in the Arks Lobby. 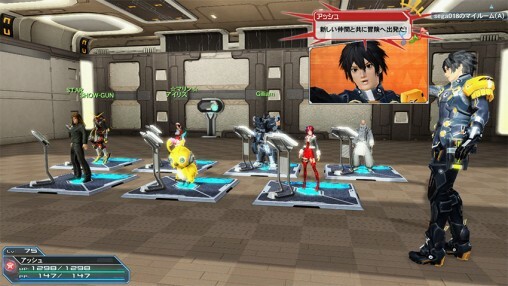 Aside from the lobby, the Battle Arena itself will also undergo some changes during the collaboration. Combatants will have access to Swords, Assault Rifles, and Jet Boots. 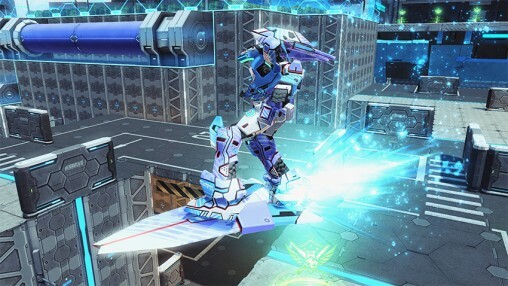 For this event, Battle Swords will utilize either [Rising Edge], or a modified version of the [Ride Slasher] PA. For the latter, you can hold down the PA button to attack while consuming PP. You can also unleash a follow-up attack to your surroundings when you release the PA button. 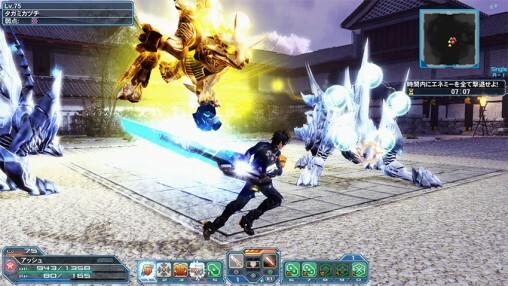 In addition, Battle Swords at level 3 can also appear in the form of Temjin’s weapon [Sleipnir]. Raiden’s signature weapon, the [Zig Launcher], will appear as the design for the level 3 Battle Rifle. 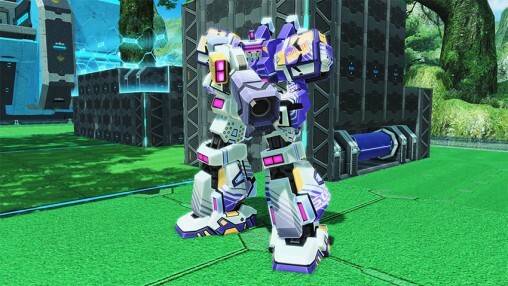 Players will also have access to a modified version of the [End Attract] PA that allows movement during the charging phase. 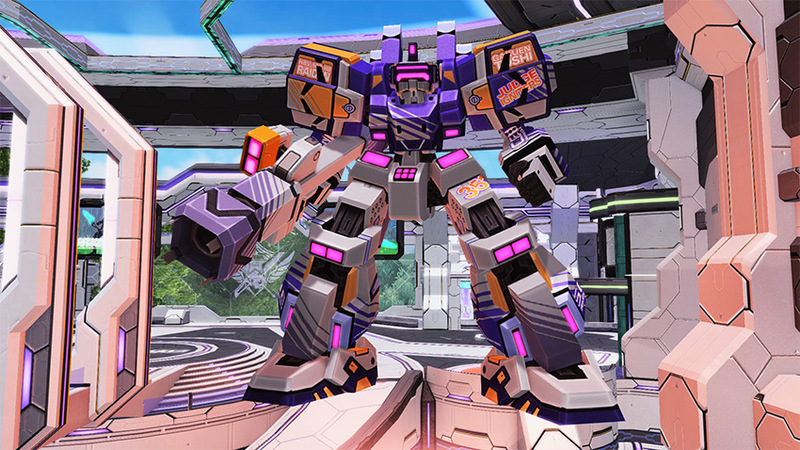 A Battle Arena Scratch will appear after the completion of every match with a lineup of Virtual-On goodies. 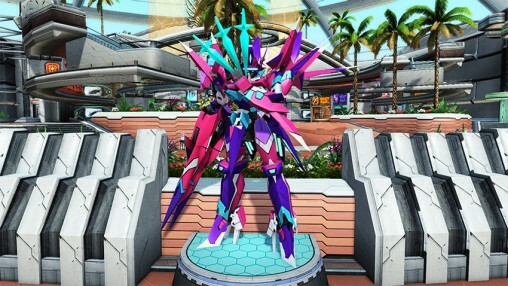 Expect to see some color variations from [A Certain Magical Virtual-On] appear among the rewards. The Dark Blast menu has added new functionality to customize the main and sub colors of your Dark Blast. 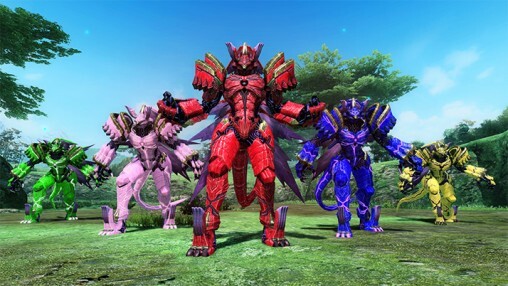 Coordinate among your friends to create your own mighty morphing Dark Super Sentai team. The latest Bonus Quest takes us to Harukotan for a brawl in Shironia. Izane and Tagami have stormed the city, offering up a chance for ★12 units and crafting materials. 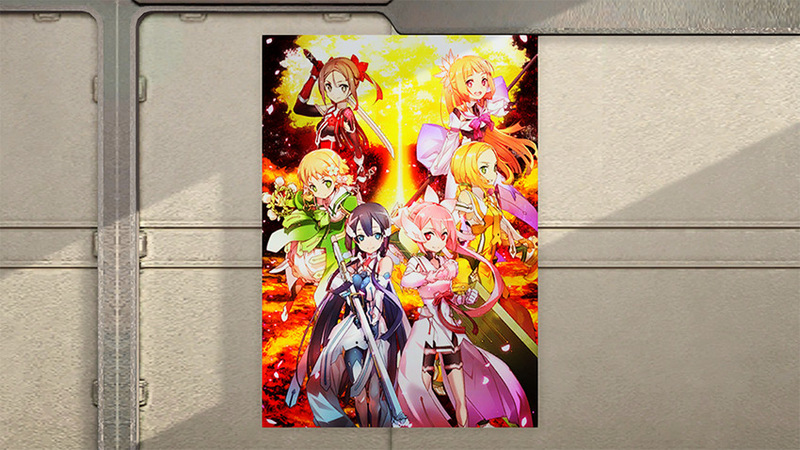 You’ve got ten minutes to defeat all the enemies and claim victory! In order to access this quest, you’ll need to pick up its Bonus Key by clearing Featured Quests with an A-Rank or higher. PSO2 is introducing a new support item that helps protect your weapon or unit from harm. This support item can be used only on equipment with 5 affix slots or less. When the protection is used, the items involved in the process will return to their previous state if the affix happens to fail. 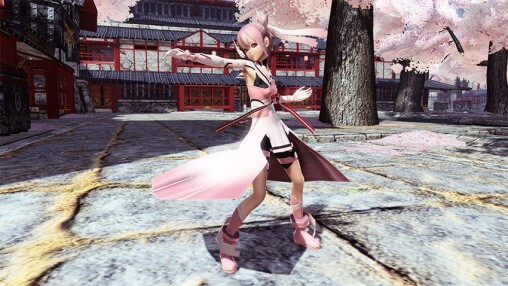 Special Ability Protection will be released during a week-long support item scratch starting February 28th! Grinders, Weapons Badges, EXcubes, and other items classified as “Tools” can now be placed into the Material Storage box. 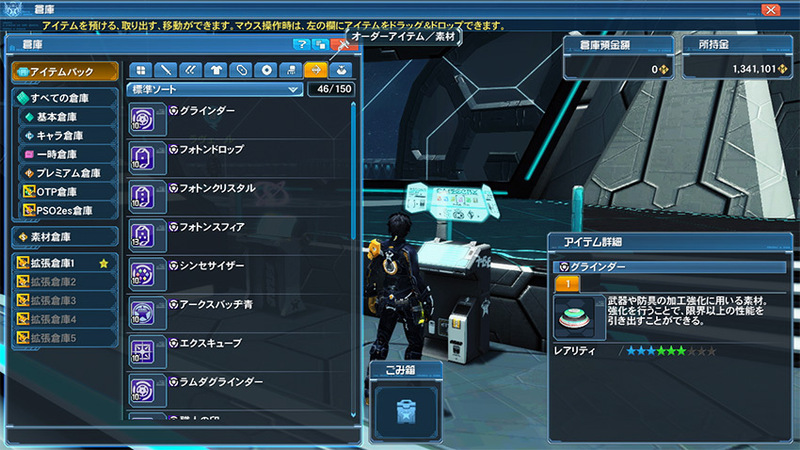 Items stored in this manner can be used directly in transactions when dealing with the Item Lab or Exchange Shops. For your added continence, the Star Gem shop can now be accessed from the Main Menu. The “Salon Pass S,” the first product to debut in the shop, will function the same as the original Salon Pass released before. 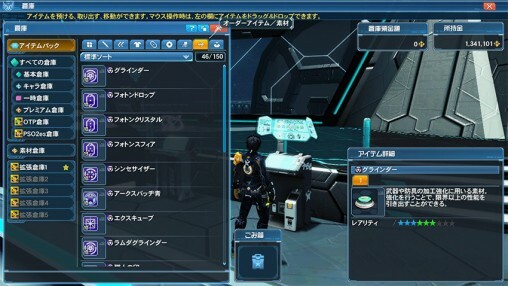 ※Salon Passes purchased prior to this update can still be used in the same manner. Create even more Support Partners for your personal army of fetchers with an expanded capacity of up to seven. You can now overwrite certain boost items of the same type by consuming ones with more potent effects. “EX” classified booster items can be overwritten regardless of whether they are a different type or potency. The shop’s duration has been extended until April 9th. Evleda Collection’s duration has been extended until June 27th. 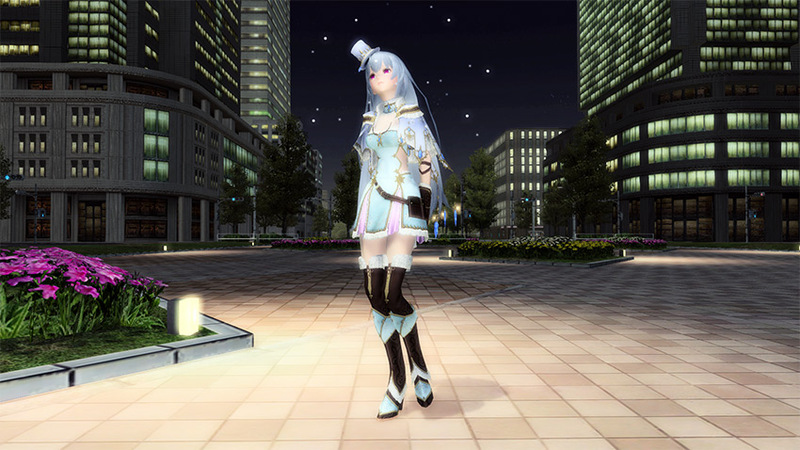 Aura Collection’s duration has been extended until May 9th. PSO2 is collaborating with the Yuki Yuna is a Hero anime for the latest AC Scratch! Don the garb of Hero Club members Yuki and Togo, and protect the world as the Shinju tree’s chosen ones. Except Su is actually fun and not behind a paywall. 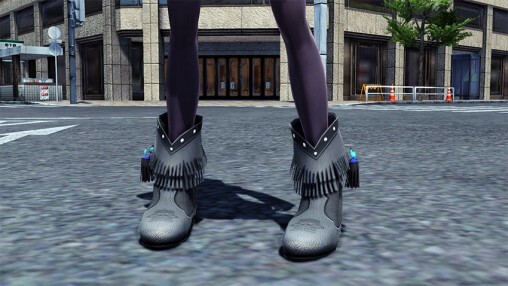 They’re bringing back Jet Boots? Coupled with macros, it makes arena dreadfully easy (or infuriating, if you’re on the receiving end). I’m afraid we’ll all emerge from this forced arena campaign with less hair than Sakai. Added continence indeed. 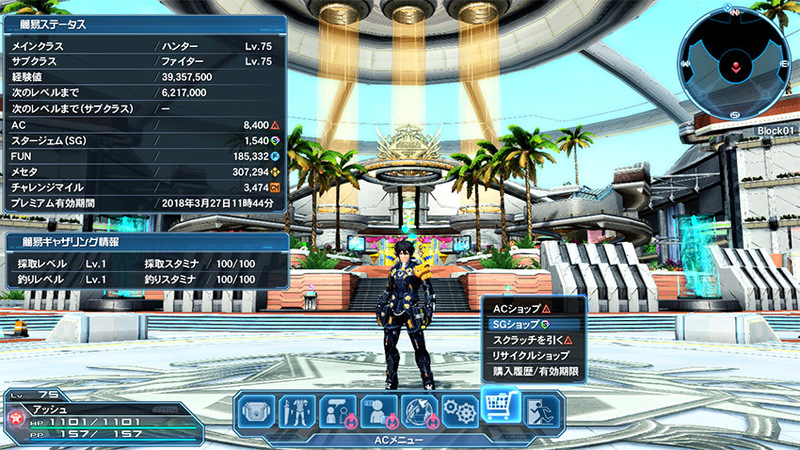 Pressing one button and seeing game playing itself sure is fun. hero can hold a button, what is the point ? Point is, that’s completely inefficient and does very little damage compared to what the class can do, the arena here is basically telling you ‘Hold button because that’s all you can do for your damage’. I’m more amazed they still push content for this game mode. The dislikes are that many since EP5 launched and people realized how much Hero broke the game. 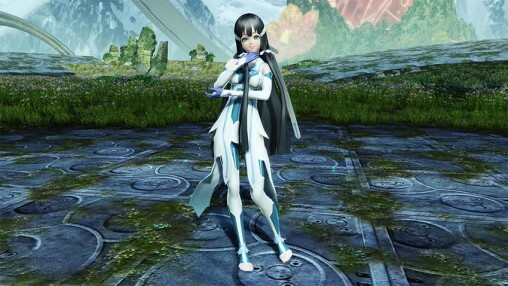 At least that class made Sega realize how poorly designed some of the aspects of older classes are.